We received word from back home that there has been a significant deluge of rainfall in Florida this past week resulting in parts of the Anclote River exceeding her banks, flooding neighboring homes and businesses. 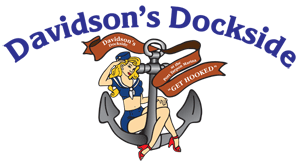 Since our home port, Port Tarpon Marina, is on the Anclote River, we are sending positive vibes from Grenada to all of our marina friends back home, not the least of whom are the fine crew at the marina waterside dining restaurant Davidson’s Dockside. Thankfully, we are told that there has been no flooding there and that they are open for business. 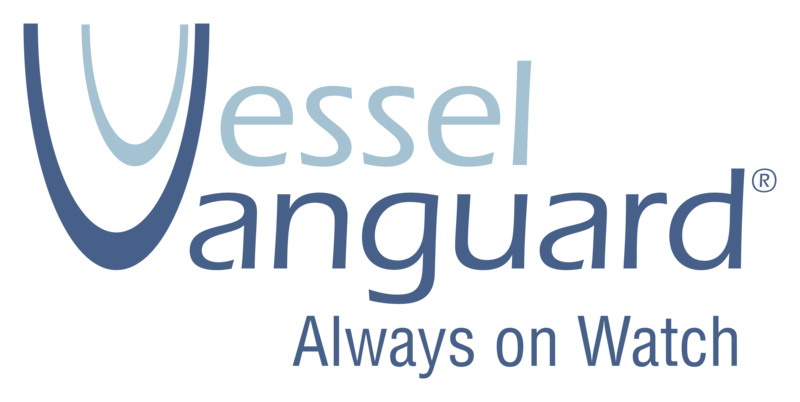 It is a must stop place to go for anyone visiting the sponge docks or Tarpon Springs! This entry was posted in East Coast of Florida and tagged Anclote River, Davidson's Dockside, Port Tarpon Marina, Tarpon Springs on July 29, 2015 by Theresa. With literally days to go before our departure, we still have a few open items on our list of preparations. The largest of those items is to have our boat hauled out of the water to have a new coat of bottom paint applied. The bottom paint protects the hull and running gear from barnacle buildup which in turn can have a dramatic effect on overall boat efficiency ( think 33% reduction in fuel mileage in extreme cases.) It also provides us one final opportunity to go over all of our engineering systems prior to departure so it is an effort worth the cost and labor. 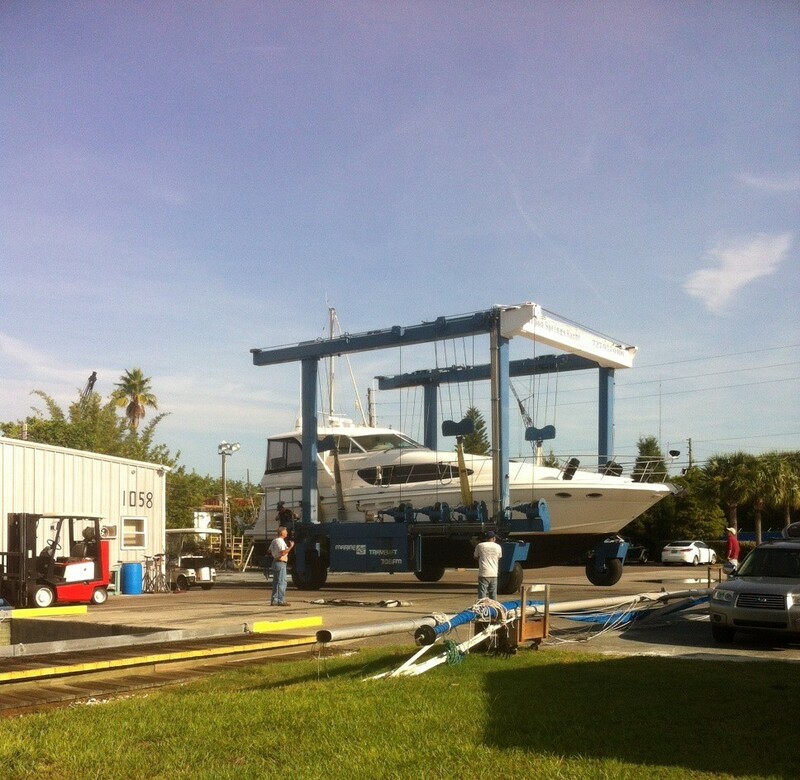 Yesterday morning, Theresa and I were at the marina early to get underway for Pittman Yacht Services, a dry dock facility that is equipped with a travel lift crane of suitable capacity to literally pick up our 45000 lb boat and place it on a set of blocks out of the water to facilitate our maintenance efforts. It was a beautiful morning on the river and although the trip was brief, we enjoyed the opportunity to take Pilots’ Discretion out for a quick trip. This entry was posted in Predeparture Preparations and tagged Anclote River, bottom paint, Haul out, Pittman Yacht Services, Sea Ray 480 Motor Yacht, underway on September 3, 2014 by Randy.